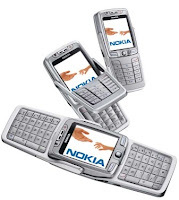 The Nokia E70 features a wide, high-resolution screen, broadband data connectivity, compatibility with push email solutions, large memory capacity, and improved security. - Eyes-free name dialing and application launching by voice commands. -- Attachment editors: Supports the most common features of Microsoft Word, PowerPoint and Excel (Microsoft Office 97, 2000, XP and 2003). Compatible with Zip Manager and Adobe Reader. - Customization enables the delivery and management of terminal user interface elements over OMA DM. - Converter: Converts currencies, measurements, temperature, etc.